The Hubbard County 4-H Livestock PDC will be sponsoring a very educational rabbit event on April 7th. Through all of March and April, JOANN fabrics is running a promotion with 4-H.
Find Your Voice Grow Your Voice Use Your Voice The Hubbard County 4-H Ambassadors invite you to ignite the Power of the Voice in YOUth Retreat. Let’s engage, educate and activate youth to discover, develop and find their voice to do good and become empowered agents of change and future leaders within our communities. 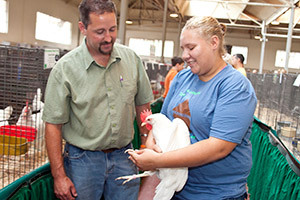 Hubbard County partners with Extension to deliver even more practical education and research right in your county.